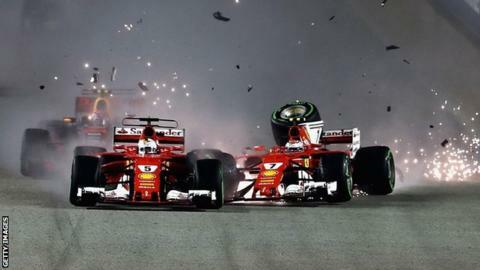 A night race on the streets of Singapore is one of the most spectacular sights in the Formula 1 calendar – and last year’s race provided one of the most dramatic moments of the season. On a wet track and under the floodlights, Max Verstappen was sandwiched between the two Ferraris of Kimi Raikkonen to his left and Sebastian Vettel to his right, with all three coming together and all taken out at the very first corner. Vettel had been on pole position and had only been behind championship leader Lewis Hamilton by three points before the collision – the first time ever both Ferraris had to retire on the opening lap. Hamilton went on to win the race – Mercedes’ third victory in four years – to take a stranglehold on the championship on his way to a fourth world title. 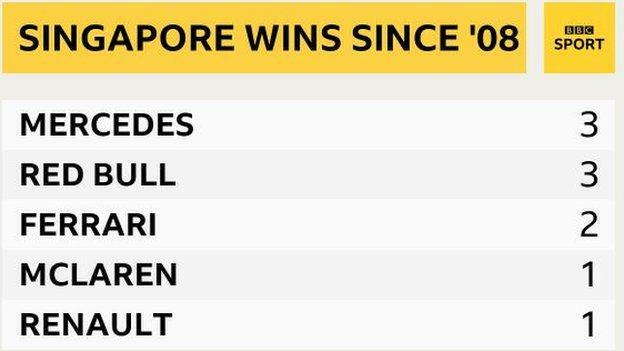 His team-mate Valtteri Bottas this week described the Singapore circuit as “super twisty where the walls are close so as a driver you cannot make any mistakes”. 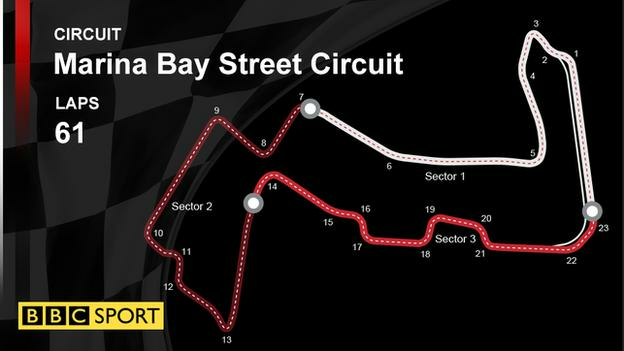 A Formula 1 race has been held in the country in every year since 2008 at the Marina Bay Street Circuit, which is 5.07km long and one of the most physically demanding for the drivers. The temperature often exceeds 30C and with 80% humidity, and race suits on, the drivers have to endure temperatures of about 50C in the cockpit. 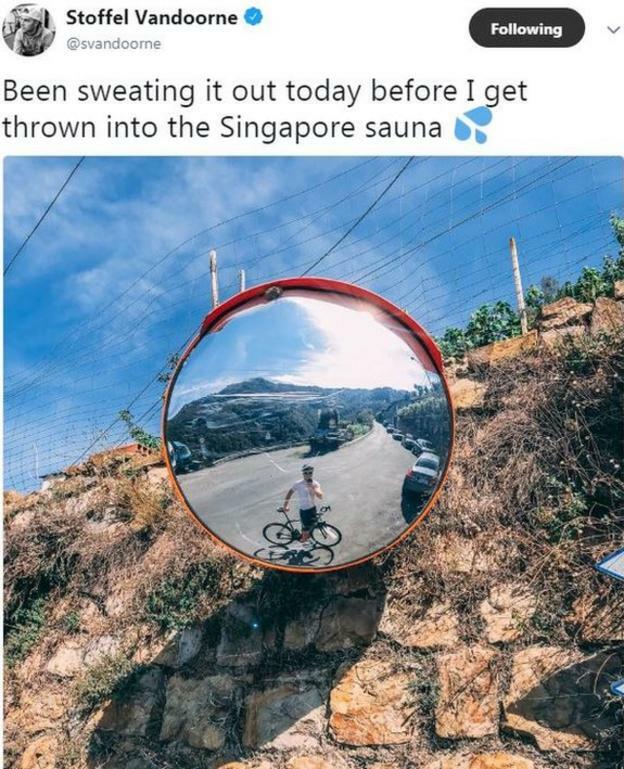 Stoffel Vandoorne, who is set to leave McLaren at the end of the season, has described it as the ‘Singapore Sauna’, while Bottas said a driver can “lose three and a half kilos” during the race. With Vettel needing a win to keep his hopes alive of denying Hamilton a fifth title, we could be all set for another thrilling weekend this weekend. BBC Sport has live coverage of practice, qualifying and the race across BBC Radio 5 live and 5 live sports extra, plus live digital coverage on the BBC Sport website and app – including audience interaction, expert analysis, debate, voting, features, interviews and audio content. All times BST and are subject to change. 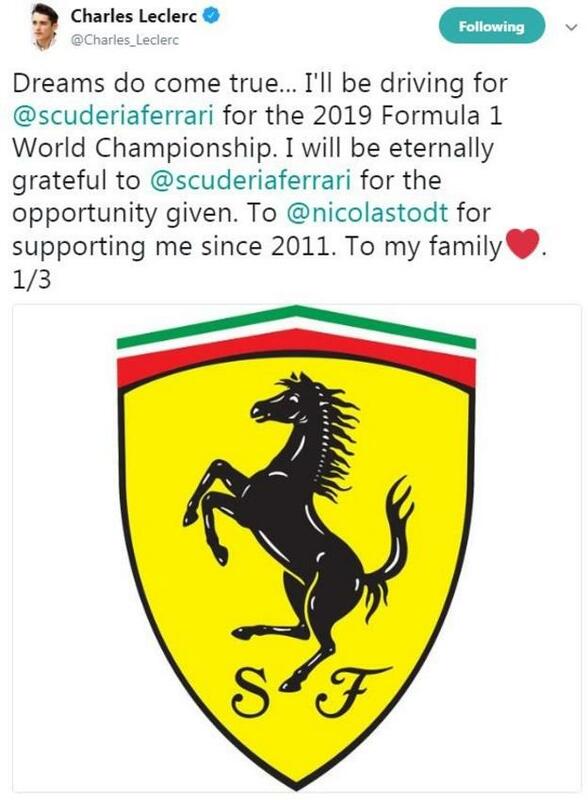 Next Story → Still in F1? What are the main players of 'crashgate' doing 10 years on?